2019 Vacation Quotes are now available! Let’s start planning your 2019 vacation today! Star Wars: Galaxy’s Edge – opening in late-Fall 2019 at the Walt Disney World® Resort and the Disneyland® Resort. Check out the special offers available from your favorite vacation destinations. Ready to give your kids a summer vacation they’ll never forget? A honeymoon at the Walt Disney World® Resort is a perfect way to celebrate your nuptials! Relax, connect and celebrate in style with world-class dining and entertainment options. 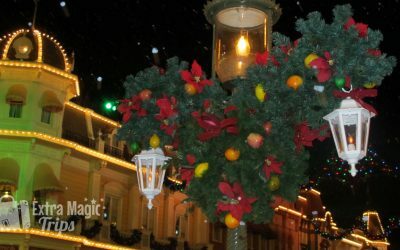 This holiday season, experience the magic of a Disney vacation in ways you never thought possible! How can we make your vacation magical and stress-free? Planning a Disney vacation can be hard — but it doesn’t have to be! Let Extra Magic Trips handle all of your vacation planning needs. Our services are the key to a magical and stress-free vacation. Best of all, our services are provided 100% for free. That’s right, there are absolutely no hidden fees. When you book with us, you pay the exact same price as when you book directly, but you get so much more! When you book with us, you will pay the exact same price as if you booked directly through Disney. What’s even better than that? We will automatically review your reservation and apply any discounts or promotions that become available — saving you money! That’s our exclusive MagicPrice℠ Advantage! We will work to create a custom trip itinerary created just for you. 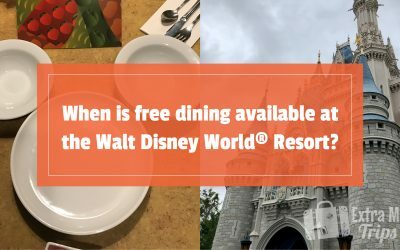 You will feel like a Disney expert as you enjoy a relaxing dinner at one of Disney’s hard-to-reserve table-service restaurants, and experience reduced wait times on select attractions thanks to Disney’s FastPass+ system. Your vacation should be as unique as your family! We take the time to learn your vacation wants and needs, and create a quote with recommendations personalized for you. Our agents have visited Disney destinations countless times, and love to share their favorite tips, advice and recommendations with you, our guests. Learn more about our free services! Stephen was beyond fabulous throughout the entire process. His level of customer service, feedback, information and overall travel planning created an incredible “trip of a lifetime” family experience for my husband, son, in-laws and me! The resort, FastPasses and dining reservations were amazing and because of the travel services through Stephen, we were able to enjoy every second of our trip together as a family. Stephen is the most detail oriented planner I’ve ever met! 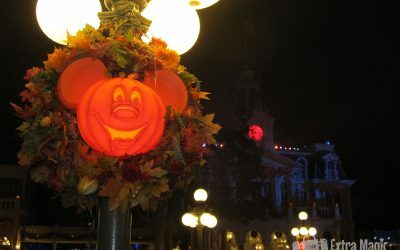 As a Walt Disney World Resort veteran, I thought I knew it all. He took the stress out of planning our vacation and we returned home relaxed with lots of new memories. Stephen played an essential role in our Disney trip. He was on hand at any moment that we had a question both before we arrived and while we were there. He made this trip truly magical. Read more on the Extra Magic TIPS blog!